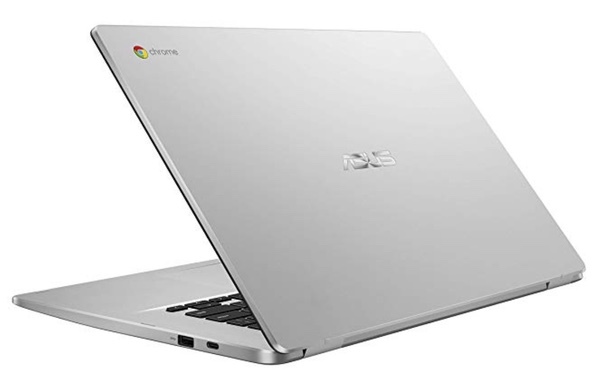 Amazon is currently offering the ASUS C523 Chromebook on offer for just $209.99. Consumers are used to paying upwards of $240 for this ASUS hardware, which makes this a great deal if you are looking for something performant which runs Chrome OS. If you haven’t started to investigate the benefits of a Chromebook, then maybe it is time for you to start looking beyond the tradition laptop and finding out if a Chromebook could be a great and highly affordable compromise for you. Unlike a Windows or macOS-powered laptop, a Chromebook comes with a more minimalist experience thanks to the fact that everything is essentially web and cloud-based on the machine. The purchase is going to get you a lightweight and extremely portable machine which is perfect for the student lifestyle or for those individuals who don’t need an absolute powerhouse machine for web browsing and general document administration. It comes with a gorgeous display, powered by Intel’s dual-core Celeron N3350 processor, and serves up 4GB of RAM. You will also get 100GB of Google Drive storage thrown in for good measure and access to Google Play to download and execute a ton of Android apps. This is definitely one of those machines that you are either going to love or hate. There really doesn’t appear to be any middle-ground when it comes to Chromebooks. If you have made your mind up that you need this type of lightweight experience in your student, personal, or professional life, then you really need to seize the opportunity to pick it up for this low price.